Our cars are a lifeline for many of us. In our busy day to day lives our cars are often the primary ways that we get around and keep us connected to our friends, family members and loved ones. Providing such a valuable resource in our daily lives, when we don’t have access to our vehicles it can be an incredible burden. Automotive theft can be one of the most devastating blows. Not only does it take away one of our most valuable resources but the financial burden of having to replace a stolen vehicle can be huge. 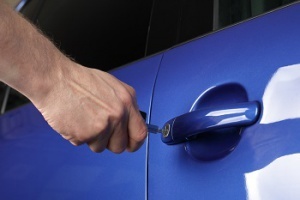 Luckily, there are a few things you can do to prevent automotive theft from happening to you. We’ve compiled the top five tips for keeping you car safe and secure whether at home or on the go. 1. Make sure you store your keys in a safe space. 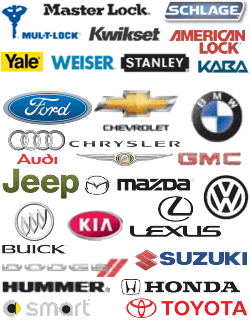 Our keys provide the primary access to our vehicles. When someone gains access to our keys they gain total control over our cars. Making sure that you store and keep your keys in a safe and secure place is vital in working to keep our vehicles safe and avoid theft. 2. Always lock your vehicle. While it may seem obvious, remembering to lock your vehicle is incredibly important when working to prevent automotive theft from occurring. While our keys provide the primary source of starting a vehicle an adept car thief knows how to hot wire a vehicle without access to the keys. As a result, making sure your car is always locked when your not using it provides a vital way that you can keep your vehicle safe. Often when we’re parking we look for the first available space, but its important to think about where we’re parking beyond convenience. Well lit parking spaces can provide a more secure option for our vehicles as they make it harder for car thieves to conceal themselves keeping both you and your vehicle safer. 4. Conceal any valuables that you keep in your vehicle. Valuables can offer enticement for car thieves. When we leave valuables in visible sight through our car windows it can provide incentive for car thieves to target your vehicle. The trunk provides a great option to keep valuables in your vehicle so that they remain concealed and safe from wandering eyes. 5. Don’t leave your car unattended while running. We’ve all left our cars running while unattended before. Whether it is because we forgot something inside and need to run in to retrieve it or we’re looking to warm it up before a drive on a winter morning, we often leave our cars running without a second thought. However, leaving an unattended car running can be a car thieves dream, and when it comes to automotive theft prevention making sure your car is off when you’re not inside it provides one of the most important tips when working to keep your car safe and secure. So the next time that you need an automotive locksmith you will want to consider an emergency locksmith to come and rescue you. Because they are fast and get there in an emergency!